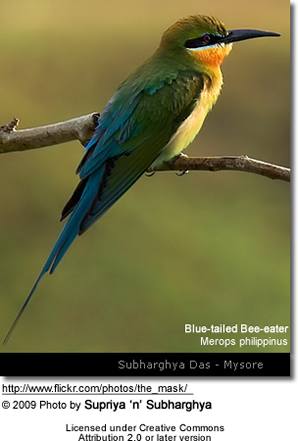 The Blue-tailed Bee-eater, Merops philippinus, is a near passerine bird in the bee-eater family Meropidae. 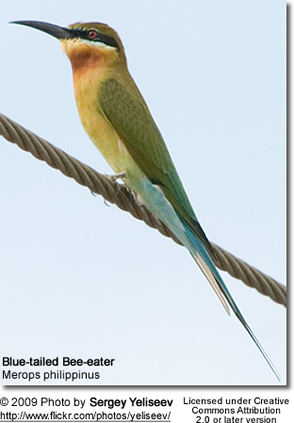 This species is sometimes considered to be conspecific with the Blue-cheeked Bee-eater, M. persicus (of, or belonging to, the same species). It breeds in southeastern Asia. It is strongly migratory. 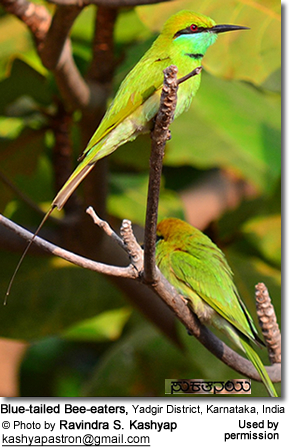 This is a bird which breeds in sub-tropical open country, such as farmland, parks or ricefields. It is most often seen near large waterbodies. These birds also feed and roost communally. 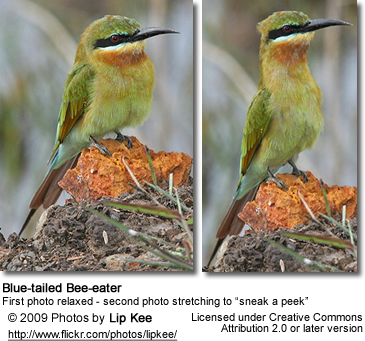 This species, like other bee-eaters, is a richly-colored, slender bird. It is predominantly green; its face has a narrow blue patch with a black eye stripe, and a yellow and brown throat; the tail is blue and the beak is black. It can reach a length of 23-26 cm, including the two elongated central tail feathers. 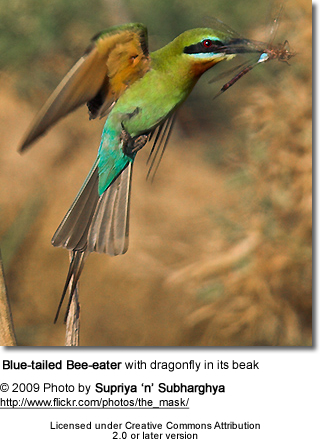 Like other bee-eaters it predominantly eats insects, especially bees, wasps and hornets, which are caught in the air by sorties from an open perch. 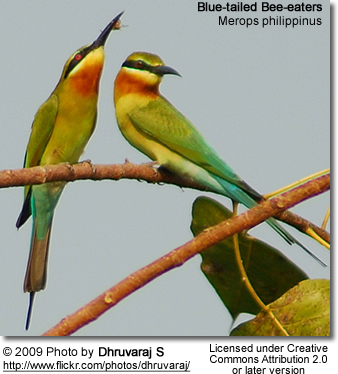 These bee-eaters are gregarious, nesting colonially in sandy banks or open flat areas. They make a relatively long tunnel in which the 5 to 7 spherical white eggs are laid. Both the male and the female take care of the eggs. 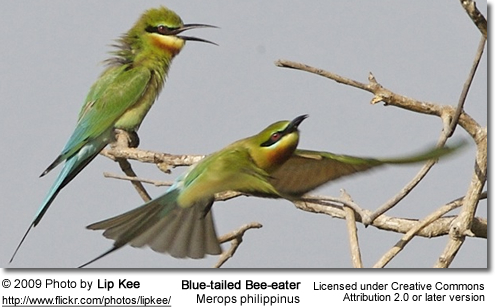 The call is similar to that of the European Bee-eater.